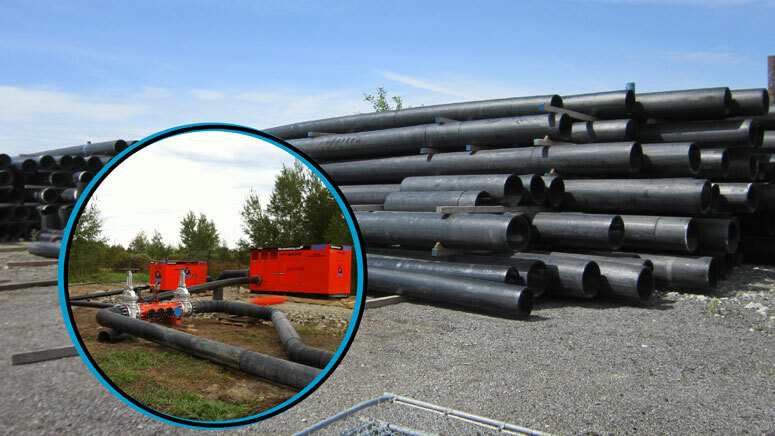 Atlas Dewatering maintains a fleet of over 3,200 pieces of piping equipment for dewatering use in construction, mining and quarrying; in drinking water supply; and in wastewater bypasses in municipal, industrial and environmental markets. Our inventory includes galvanized pipe from 4” to 12”, rubber suction and discharge hose from 4” to 12” as well as HDPE piping from 4” to 18”. This inventory allows us to deploy all necessary equipment for rental, sales and service without delay.